(P1) Yahoo is preparing to lead an investment round in Snapchat that values the ephemeral messaging startup at an eye-popping $10 billion, according to a report by the Wall Street Journal. (P2) While you catch your breath from the sheer inanity of this news, let me point out that this is the same round that was previously rumored to be led by Alibaba, and was recently revealed to include minority participation by Kleiner Perkins (at a meager $20 million for 0.2 percent). But while you can argue about the merits of betting that Snapchat will one day deliver a meaningful return on this 11-figure valuation – anything but a sure thing – there is no universe in which it makes sense for Yahoo to be making that bet today. (P3) First of all, Yahoo is surely getting a minority stake in Snapchat, likely in the single-digit percentages – unless it’s investing more than $1 billion, which if that’s the case god bless ‘em. This means that the company can’t consolidate any future revenues (Snapchat doesn’t generate any revenue currently) from this holding and will hardly have any real inside track on a future acquisition of the company – as if Yahoo could afford it. In other words, this is purely a venture capital-style financial “bet” by Mayer, that Snapchat will be Yahoo’s next Alibaba, or put another way, an investment that leaves the company flush with cash upon an eventual liquidity event. (P4) But the fact of the matter is, Yahoo doesn’t have the luxury of making long-term growth-equity bets at this point. The aging company needs to find ways – any way – to grow revenue and profitability, something it hasn’t managed to do in nearly seven years. (P5) When Yahoo decided to invest $1 billion to acquire 40 percent of a then up-and-coming Chinese ecommerce company in August 2005, the US company had the luxury of soaring revenues in its core business. Jerry Yang, the company’s founder who was still CEO at the time, was coming off a year in which Yahoo more than doubled its revenue from $1.63 billion to $3.57 billion, and was two-thirds of the way through a year in which those revenues would grow by another 47 percent to $5.25 billion. In other words, the company could afford to look externally for longer term growth opportunities because it had its own financial house in order. Similarly, when Microsoft invested $240 million for 1.6 percent of Facebook in 2007, Steve Ballmer’s company was literally on top of the technology world. (P6) Marissa Mayer’s Yahoo of today? Not so much. (P7) To be fair, the Yahoo Mayer inherited two years ago was dysfunctional, to put it kindly. And she’s done more than many thought possible to boost morale and convince outside observers that a turnaround might at least be possible. But the one thing Mayer hasn’t done is generate any sort of meaningful revenue growth. And judging by the recent rise in activist shareholder challenges, her grace period has all but run out. (P8) Yahoo, with its $40.8 billion market cap, isn’t that much more valuable than Snapchat. As of June 30, it had a total of $1.1 billion in cash and cash equivalents and another $3 billion in other “current assets” on its balance sheet. The company recently took in an additional $9 billion through the sale of a portion of its holding in Alibaba, but has promised to return at least half of that sum to shareholders. (It’s also lost the very life raft that has been keeping its otherwise unattractive stock afloat.) That leaves Yahoo with, at best, $8.6 billion in cash and current assets to play with. (P9) That’s not exactly a ton of cash that it can afford to be spending real money on non-revenue generating investments. Then again, ValleyWag reports that Yahoo, like Kleiner could be investing just $20 million in this Snapchat round, despite being the lead investor, in which case, what’s the point? 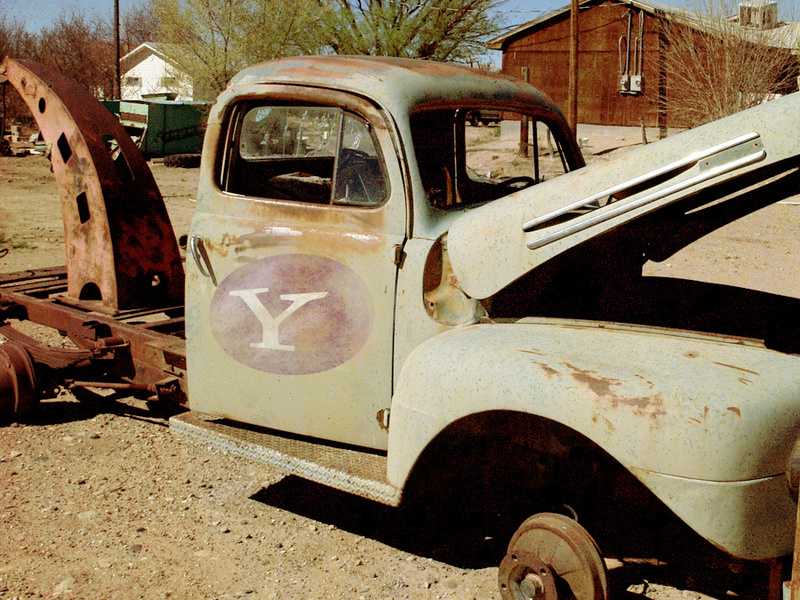 Adding insult to injury, activists like Starboard Value’s Jeff Smith are insisting that Yahoo stop making acquisitions, find ways to cut costs, return more capital to shareholders, and merge with an equally dysfunctional AOL. (P10) Put simply, Wall Street will have Mayer’s head if she goes through with this Snapchat deal. And if she somehow gets out unscathed, she might want to have her head examined for even considering it. (P11) Mayer should also consider that Facebook and Google, both of which were rumored to be bidding to acquire Snapchat last year at valuations closer to the $3 billion to $4 billion level, are much better positioned financially to complete for this deal but appear absent from the syndicate. They say if you look around the table and you can’t identify the fool, you’re it. Investing in Snapchat at a $10 billion valuation may or may not prove to be foolish. But for Yahoo, which whether Mayer likes it or not remains a struggling Internet portal with pissed off shareholders, that’s the only way this ends.